Wishing all the super moms out there a very Happy Mother’s Day! The following pieces of art from this post were posted with permission from Joy of Mom Is Drawing. 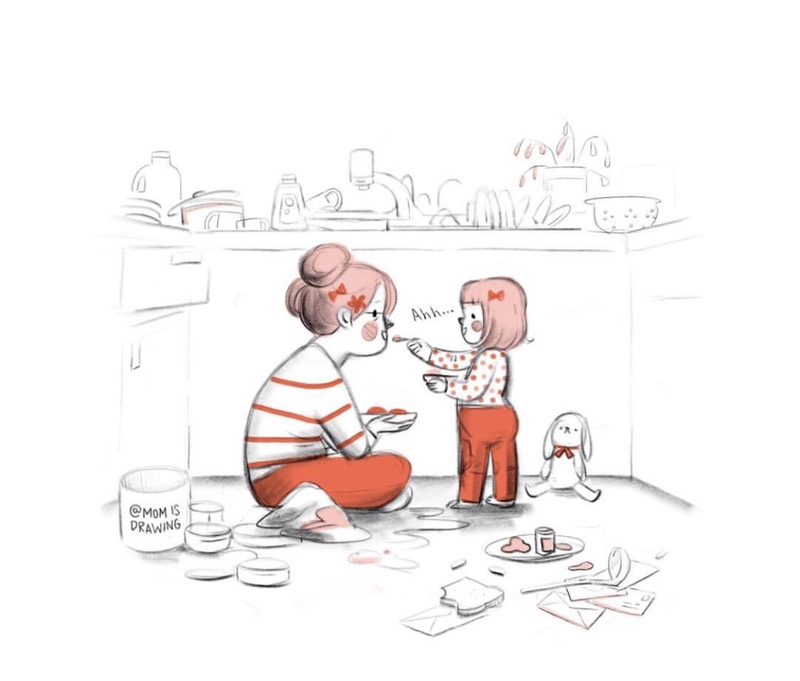 She has inspiring drawings that illustrate motherhood to a tee! 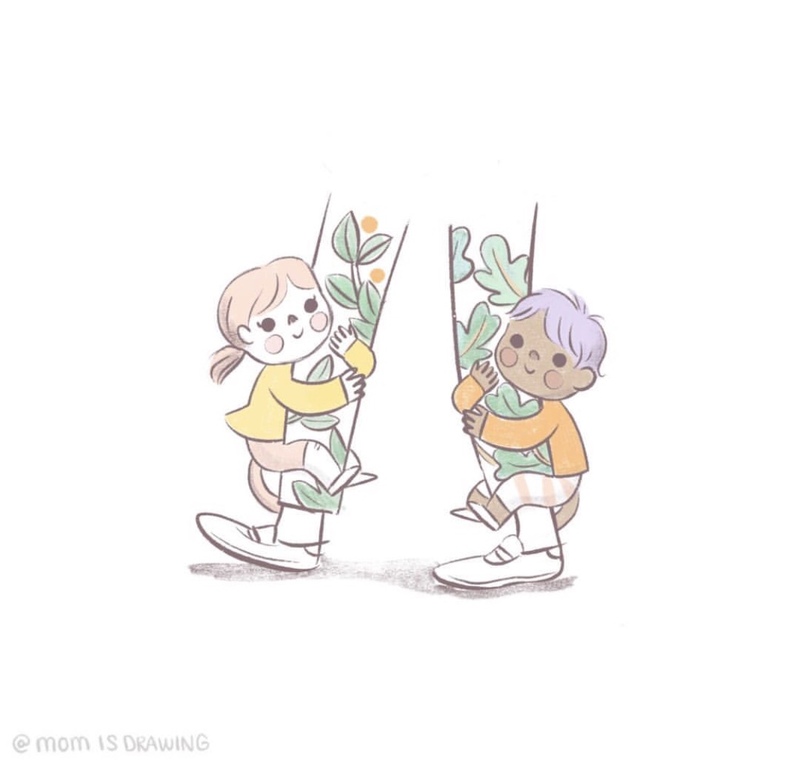 If you ever feel worn or tired; or just need a quick pick me up, head over to her Instagram page and reflect on some of her drawings and leave the page with a smile on your face because however you, mom, are feeling, you are not alone. Boy does it feel good to connect with other moms, not even having to say a word. It’s like a favorite song you hear on the radio and you just know your soul feels good because someone gets it. 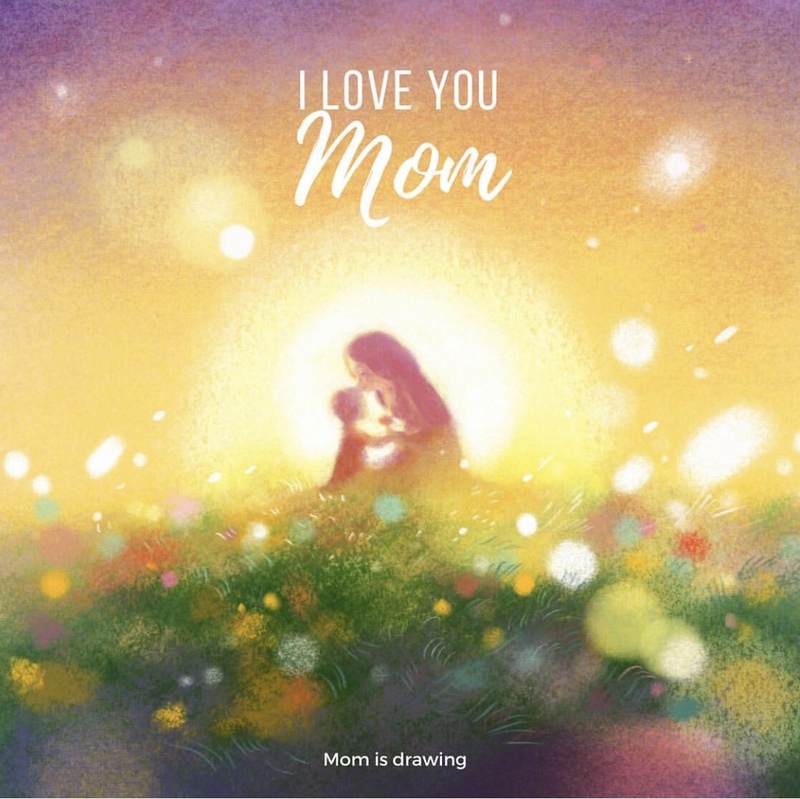 You will get a little raw and real snippet of what a mother’s heart feels, when you see her drawings! It’s true when they say you don’t know what motherhood holds, until you become one. I expected joy and sleep deprivation ; diaper changes and hugs; snuggles and temper tantrums; but it gave me so much more. It taught me what love is, like no other. A love so grand; so wholesome; like a garden filled with flowers, that sprouts every time I gain a new experience through the experiences of motherhood. It taught me that in order to take care of them, I need to take care of me. It taught me compassion, when I am feeling sad sometimes and the girls notice and say “Mommy, why are you sad?”, “Why are you angry?”, ” Why are you laughing?”; it shows me I am on the right track, teaching them to be mindful of others and their feelings; to care and be kind. It taught me forgiveness; by showing them it’s okay to make mistakes, it helped me positively reflect on my mistakes at times. When my children say, ” I dropped my cup and I spilled all my cereal; mommy, you’re not mad?”, it makes my heart flutter; flutter because this was one accomplishment I am very proud of, that my children know in their hearts that it’s okay to make mistakes and mommy won’t be mad , “Of course Im not mad; Mistakes happen; Mommy understands; Everything is okay; Mommy makes mistakes too.” We get to reflect on how we are all human beings and no one is perfect; and how it’s important to be gentle with ourselves when mistakes do happen; and be inviting so that our children can share our feelings of fear, insecurities and happy things too. Becoming a mother, created an opportunity for me to further grow my empathy towards them, myself and others. My patience gets tested every moment I come upon a difficult task; when they’re not feeling well and I’ve been short on sleep; when I am trying to get them ready for school in the mornings and trying my best not to make them feel rushed in this fast paced city we live in; when I’m reading bedtime stories and wishing they would pick a shorter book, even though they love the longer ones. Motherhood gave me a new purpose in life; a newly awoken me learning to lead by example; a new perspective on mistakes and growth; and a heart so full and humbled that I get to experience this all. Next Next post: Keira’s 3rd and Ayla’s 4th Birthday!